← New release to manage? Top tips on communicating, educating and activating users. If you are at all interested in Enterprise Mobility then Wednesday 12th November at Excel in London is the place to be. This FREE event has lots going for it. Enterprise mobility is not all that is on offer. The morning is dedicated to some big-hitting keynote speakers. Including Professor Brian Cox, Sir Nigel Shadbolt and Michael Taylor. The afternoon agenda is packed with excellent Enterprise mobility sessions, from customer case studies to demonstrations of the latest Windows 8.1 gadgets and deep diving sessions including demonstrations of the journey into mobile device management on an enterprise level. No better time to get yourself up to speed on the Enterprise Mobility Suite from Microsoft, which includes Microsoft Azure Active Directory Premium, Windows Intune and Azure RMS. All of which work together with Windows Server to provide an end to end mobility and identity solution, irrespective of your end users device choice. 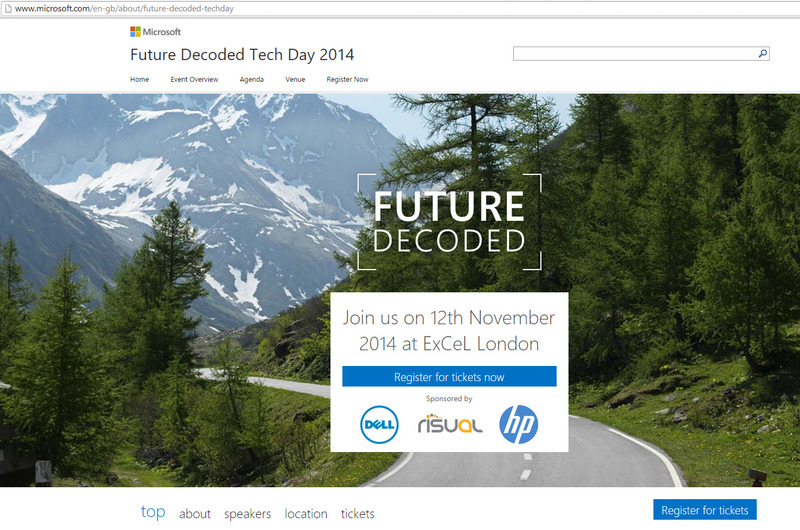 Some of Microsoft UK’s top technical specialists will be presenting and answering your EMS related questions. Application and Desktop as a Service Lead, Microsoft UK. The session is being kicked off with a case study from Andy Turner of Mitchells and Butlers a customer story well worth following. You can register here, I do hope you have time to spare to attend this fantastic event. I will be there hosting the mobility track so do come and find me and introduce yourself. Oh and did I mention it is completely FREE!